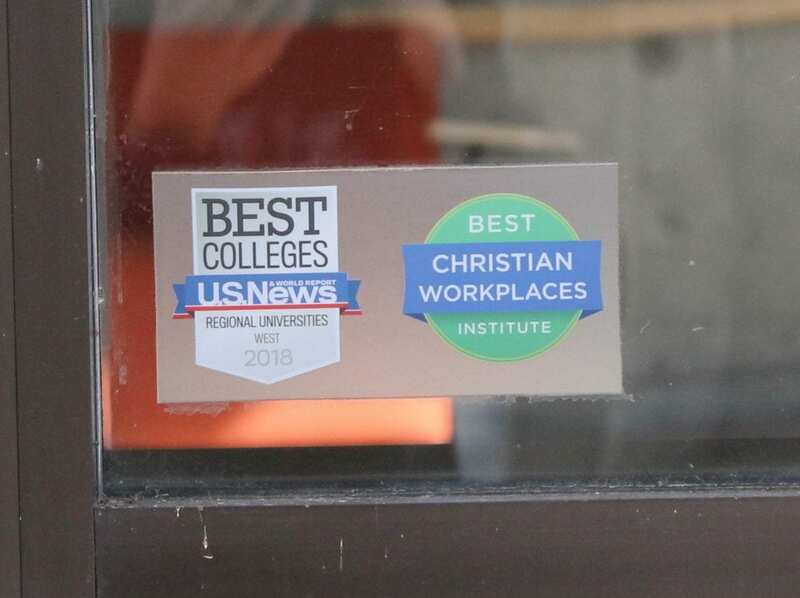 Northwest University improved its standing in the U.S. News & World Report ranking among Regional Universities in the West. Northwest University recently improved its rankings in two major college ranking services. U.S. News and World Report’s Best Universities ranking was released on Sept. 10, revealing NU’s new spot at No. 46 among Regional Universities in the West. This ranking is an improvement by 17 places over last year. NU also ranks No. 10 in the College Census survey of the Best Colleges and Universities in Washington for 2018. This survey is unique in the fact that it aggregates various existing rankings and polls the totals. NU’s No.10 ranking reflects student polls which display the positive experience NU students themselves acknowledge. These rankings are determined according to the university’s performance across a set of widely accepted indicators of excellence including faculty resources, expert opinion, financial resources, student excellence and alumni giving. NU president Dr. Joseph Castleberry announced the rankings to faculty and staff via email, also pointing out that this is the first time NU has outranked Central Washington University. Castleberry thanked and congratulated the faculty and staff for their role in earning the university such positive reports. Student Tiani Grosso said that these new rankings encourage her that NU is the right choice for her education. “I think it really reflects the quality education we’re getting here. It just validates my choice in going here,” Grosso said.